HomeTechnicalData CenterReally ? 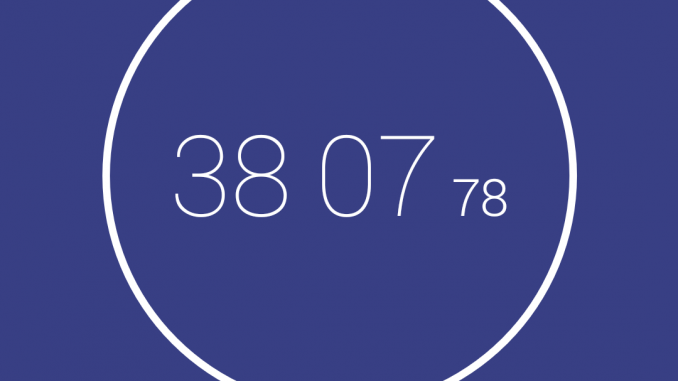 37 minutes to install Cisco Hyperflex ? 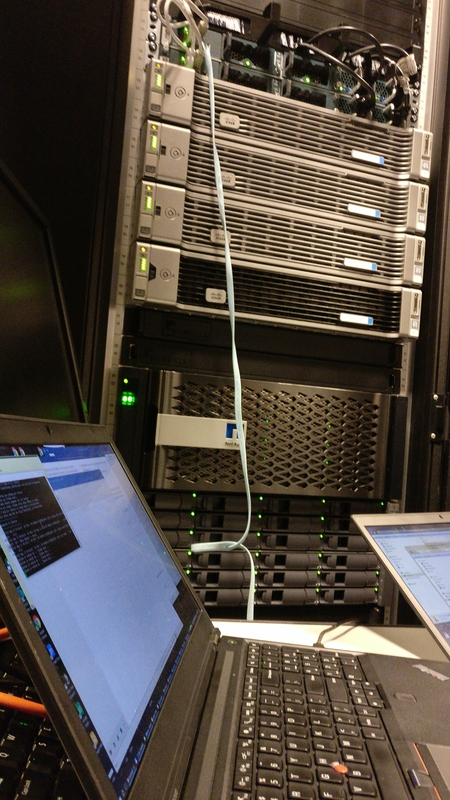 This week I went to a customer to install Hyperflex HX240 cluster with 4 nodes. Everything was already racked and stacked. Then lets configure the uplink ports and server ports. You don’t have to power on the servers. Discovery of the servers will be done automatically. 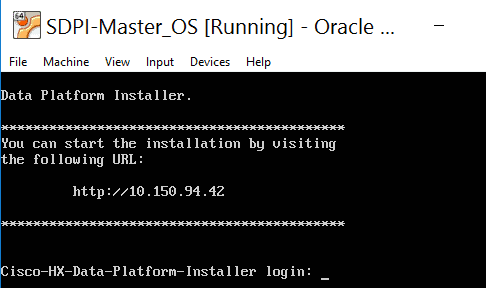 Now it’s time to start the Hyperflex Installer OVA. I am using VirtualBox on my laptop, but you can also use a VMWare server if you like. 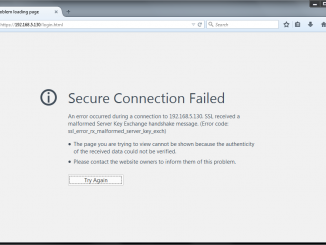 The image get it’s ip address via DHCP. Ofcourse the FI’s should be also configured with the correct service profiles. 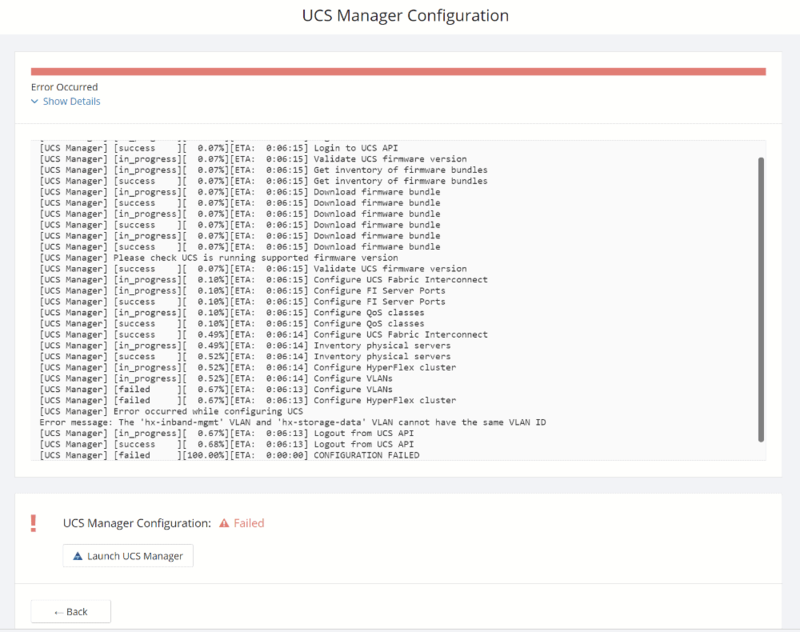 Just click on the Configure UCS Manager button. (Not shown here). You only have to configure the FI Cluster IP address and credentials. 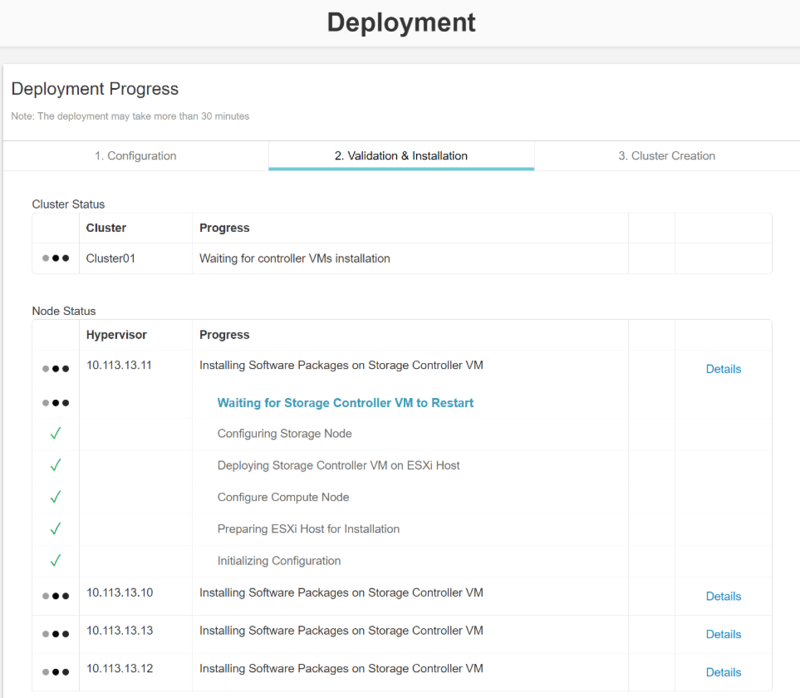 The installer will take care of everything and configure VLAN’s, policies etc. Although it’s possible to change the name DON’T DO IT !!! When you leave the name default the setup will work correctly. The “bug” will be fixed in HX 1.8 installer software. When the installer finished installing the software, it’s gonna create the HX Cluster. 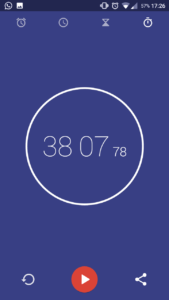 The verification AND deployment time is just over 38 minutes ! Not bad !!! 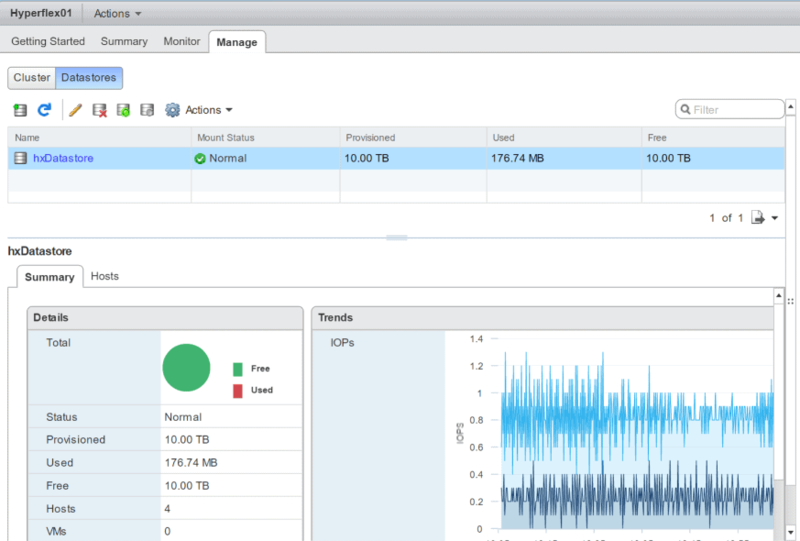 Now you can configure a datastore via the vCenter plugin. 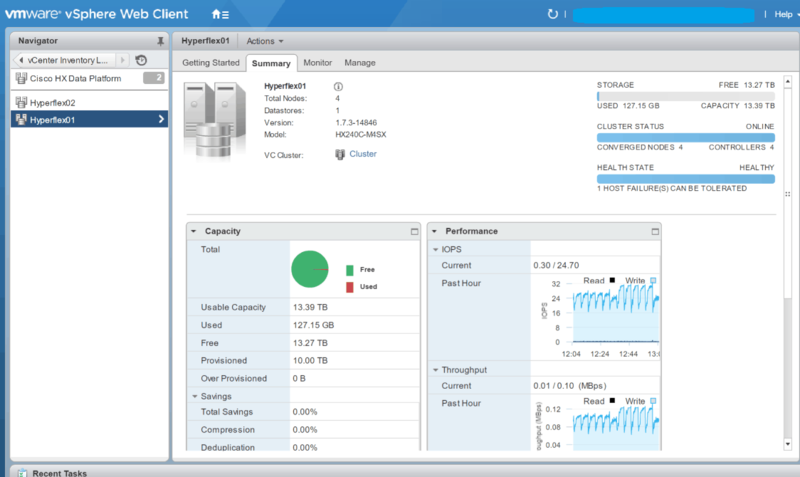 You can find the Hyperflex at the vCenter Inventory List. 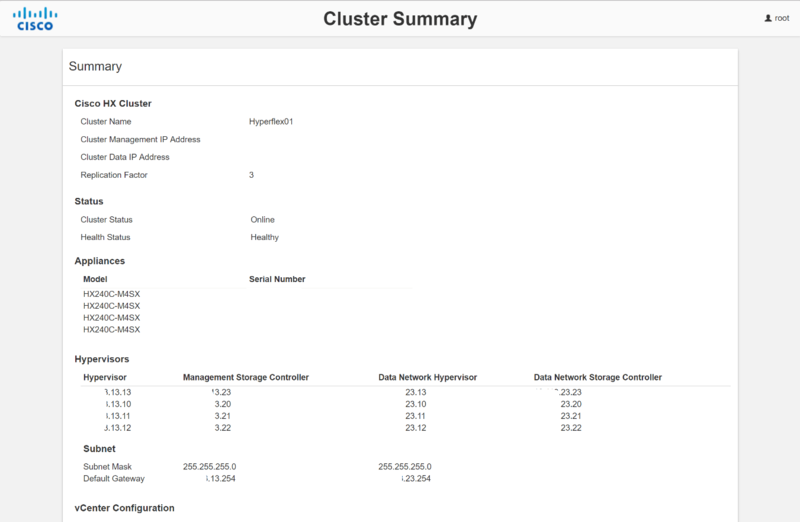 You will see some nice cool information about the HX Cluster. 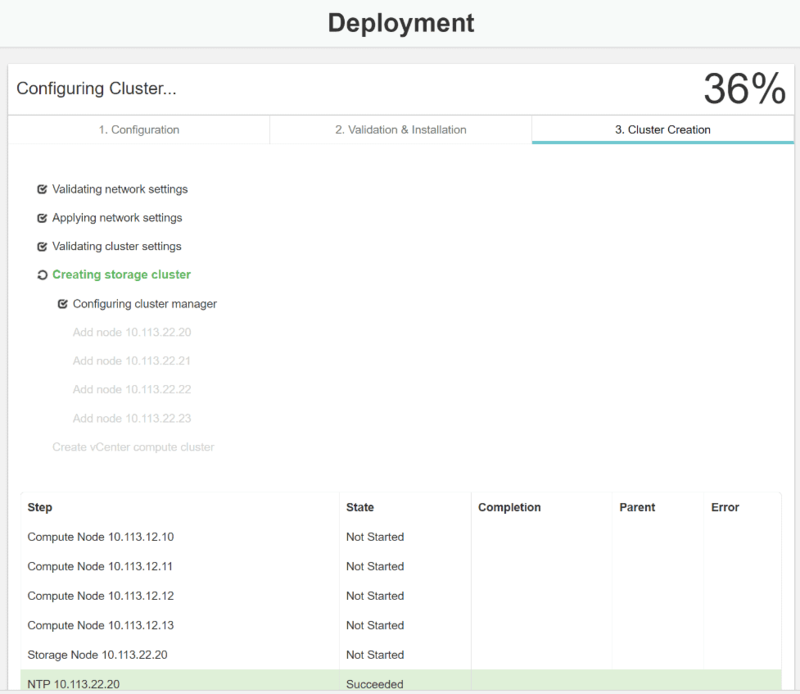 Yes, it’s possible to configure a Hyperflex cluster in about 37 minutes when all dependencies are in place. 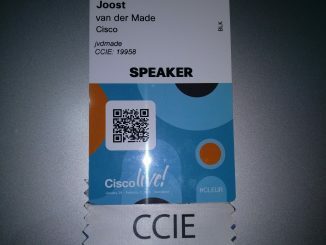 Cisco promised that the 1.8 installation will be even easier. I am already exited ! Thanks for the great write up. 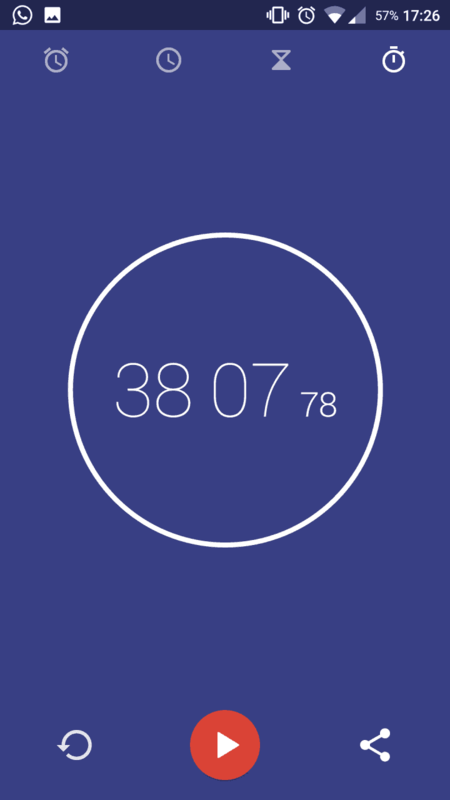 I think it’s important to point out, though, that a 37 minute deployment is a bit misleading. Whenever deploying new hardware, it’s extremely likely you’ll want to upgrade to the latest and greatest software stack. 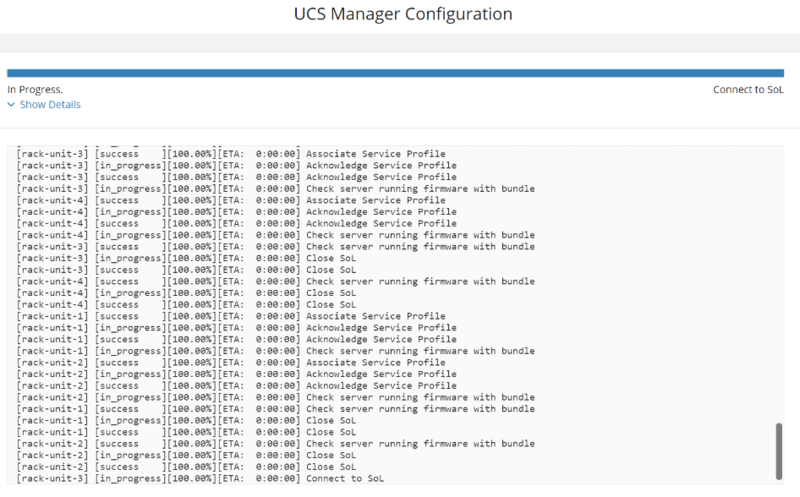 For the HyperFlex, that means upgrading UCSM and NX-OS on the FIs first, then using the HyperFlex installer VM to deploy the HX data platform which will likely mean upgrading the firmware on the HX C-series servers, as well. After that, you’ll likely need to upgrade ESXi. All of this takes time. And if you don’t have vCenter in your environment, that deployment should be included, as well. Easily a day or more of work to make sure you hand off a ready-to-go system. You are totally right. It’s not only about the installing. For new customers, all the software is now at the right level (Except the NX-OS) and normally a fresh installation will take me 4 hours. 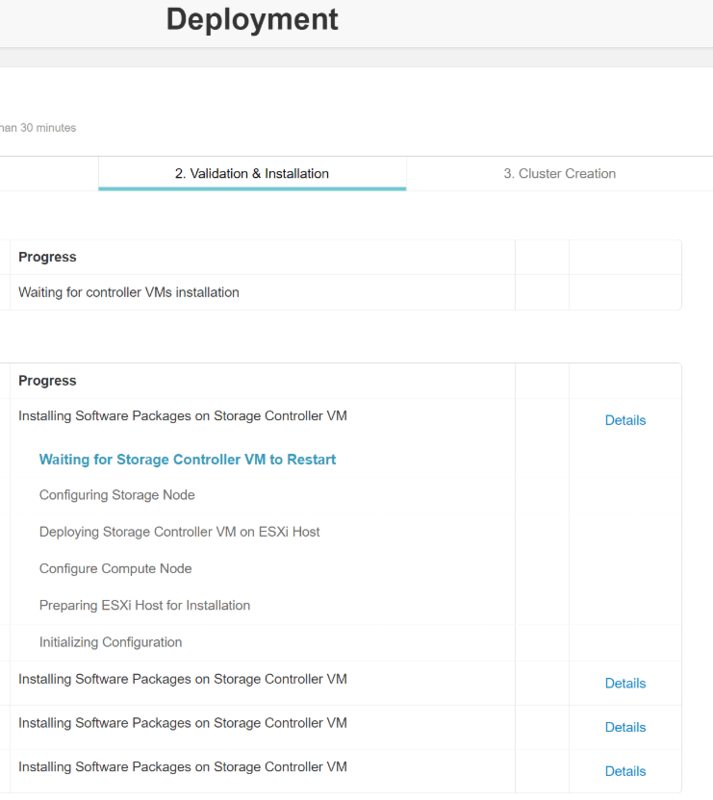 2 hours to gather all the information about IP addresses, setup the installer and install a fresh vCenter. 1 hour for the installation. (To fill in the fields for the first time) and 1 hour to give the customer a tour how they can create datastores, configure replication etc. 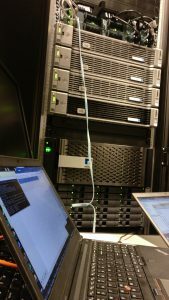 I need some advice on our hyperflex 3-node fresh deployment. 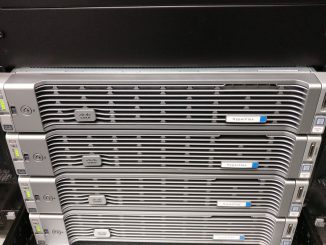 We received these M4 HX220c nodes and FIs last year from Cisco as a promo. HXDP was 1.7.x I believe. We never turned it on because we were Hyper-V environment, but now we are planning to purchase vsphere essential plus kit to get these nodes up and running. I would like to setup the system with HXDP 2.6. I tried to research any documents that describes fresh install 2.6 from older equipment. Could you direct me to a right resource or explain me few steps to get the system up to 2.6? I guess Mike mentioned update NX-OS and UCSM on FI first. Then, do I just use 2.6 installer ova to get nodes install with HXDP? or do I need to update nodes firmware first? Yes, please upgrade first the UCS-M and Nexus if needed. After that you can install the HXDP 2.6 on the system. It’s possible that the nodes are provided with ESXi 6.0. Don’t know if you want to upgrade this, but you can do that after the HX installation. Thank you it worked out perfect! I do have another question. Since we only have 3 nodes and a set of FI 6248, we do not have leaf and spine design. We just have stacked 3850 catalyst switches. What would be the best way to connect FI to 3850? Can I form L3 LACP with two links from each FI A and B and 4 ports from stacked 3850 switch? VMs will be stay within Hyperflex nodes. Yes, that would be a good redundant design. 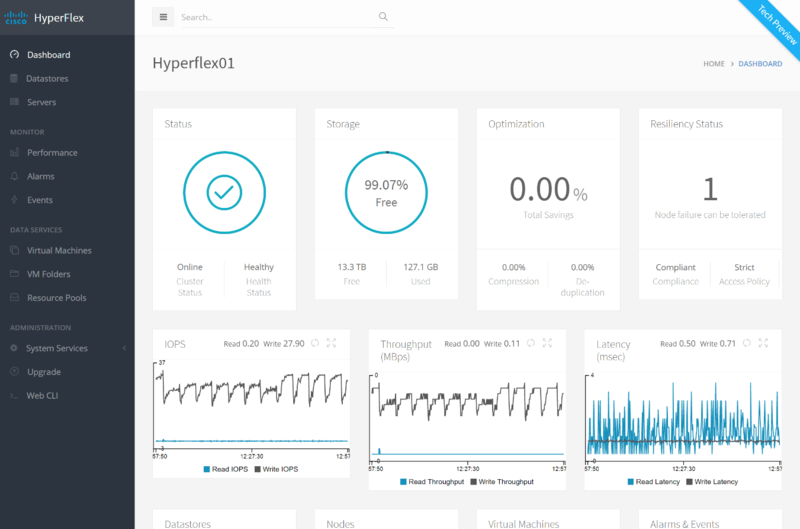 what is the use case for hyperflex after deploying it. Many use cases ! It’s an hyperconverged solution for all kind of workloads. I want to install Hyperflex 240c all flash with Ucs 6248c up, can you please share the ports connection setup details for this and and also manual step to configure. Make sure that the ports are server ports. Just right click and then select server ports. Please share the cable connection details from hyperflex to FI. 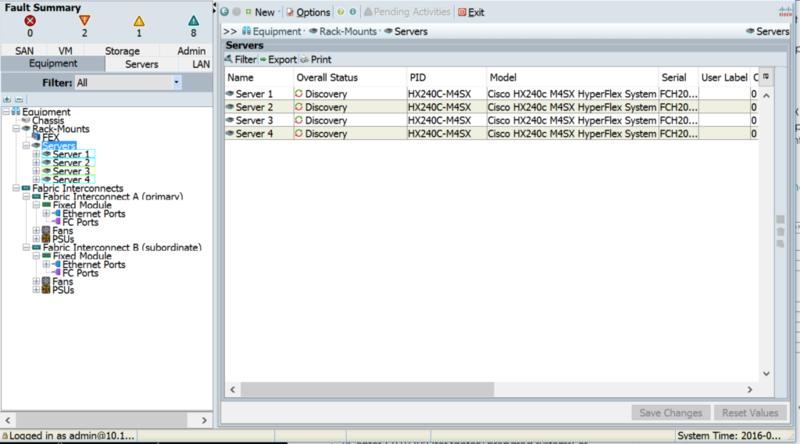 And initial ip configuration of Hyperflex and FI to access console of both. Please search for FI setup.